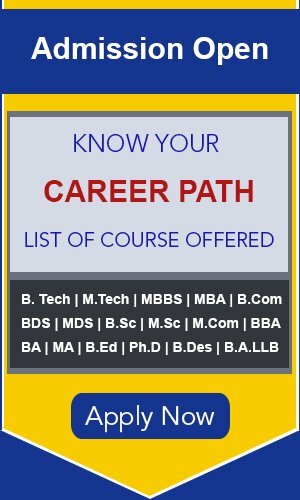 Candidates can check the complete information regarding Allahabad University of Lucknow M.PEd and B.PEd Admission 2019 application process, eligibility criteria and other information on this page below. Master of Physical Education (M. P. Ed) is a postgraduate course in the discipline of physical education. It is the discipline which is concerned with sports activities and equips the students with a range of practical skills applicable in officiating Athletics sports. Age of applicant, as on 01st July 2019 must not be more than 35 years as per High School Certificate. The reservation in seats and relaxation in qualifying marks for SC/ST/OBC/PWD and other categories shall be as per rules of the Central Government/State Government, whichever is applicable. The admission to the M.P.Ed. Course is done on the basis of the marks obtained in the Entrance Exam Physical test, Game Proficiency Test, Sports Achievement & Interview. It will be conducted in two-hour time duration and total marks awarded for the test is 100.